Experience the cool, pressure-relieving benefits of Simmons AirCool™ technology with this BeautySleep full bed in a box, now available for an incredible value at Haynes. 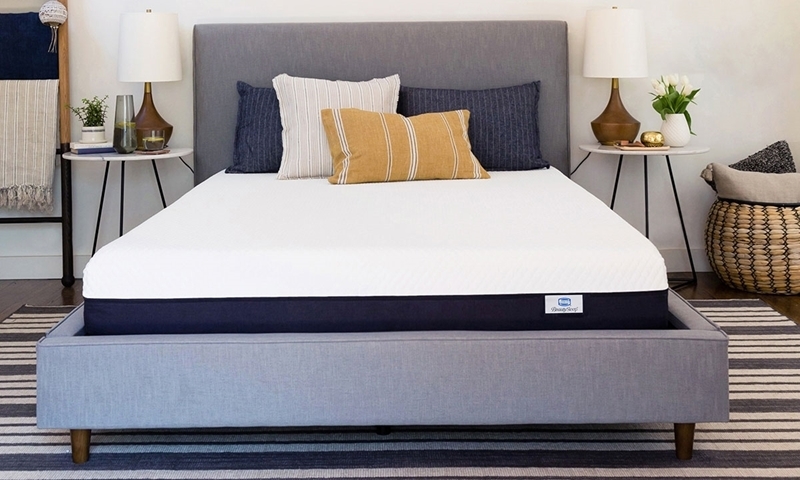 Between the soft knit cover and high-density base foam of this queen mattress lies a layer of breathable AirCool™ gel memory foam. Aside from its namesake temperature regulating benefits, this foam also relieves pressure in achy areas like the shoulders and lower back, while conforming to your body shape to provide the perfect balance between plush comfort and firm support.